You know that phrase: “you get what you pay for”? Well, in Sony Xperia M4 Aqua’s case, you don’t. The phone, with its 8GB of onboard storage, gives users access to only about 15-percent of that space, which is shockingly low even for the most ill-advertised 8GB smartphones. 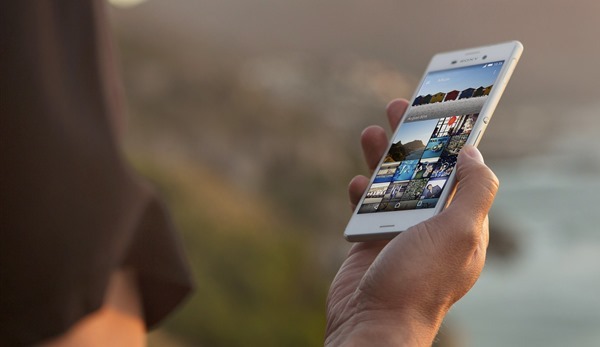 Pointed out by Xperia Blog, the M4 Aqua ships with 8GB of storage space, leaving users to believe that less than a couple of GBs of it would be allocated to system files and pre-installed apps, while the rest would be left for the user to access. However, this is not that case as the phone sheepishly cons the user into a meekly 1.26GB user operable storage, which to be exact, is just 15.75-percent of the actual storage. We’ve seen quite a few phones released with the supposed 8GB of storage onboard, but seldom have we come across a heist so perfect that the user is literally left dumbfounded on account of disbelief. 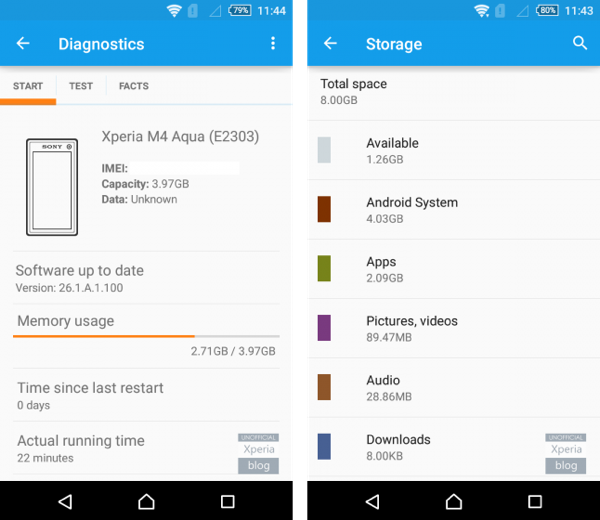 That said, you can argue that the M4 Aqua has expandable storage option, giving the phone a lifeline of sorts, but that’s a pretty sad way of pitching a phone, and Sony never tells you that for some very obvious reasons. The M4 Aqua is literally a crippled device for someone excited to jump to a new Android 5.0-based smartphone, Again, for argument’s sake, you can delete a few existing apps, but since most of these are system apps, you can at most only free about 500MB of space. Android is 4gb?..lol iOS 9 will be 1.5gb. Yayyy, Welcome to Android !! !